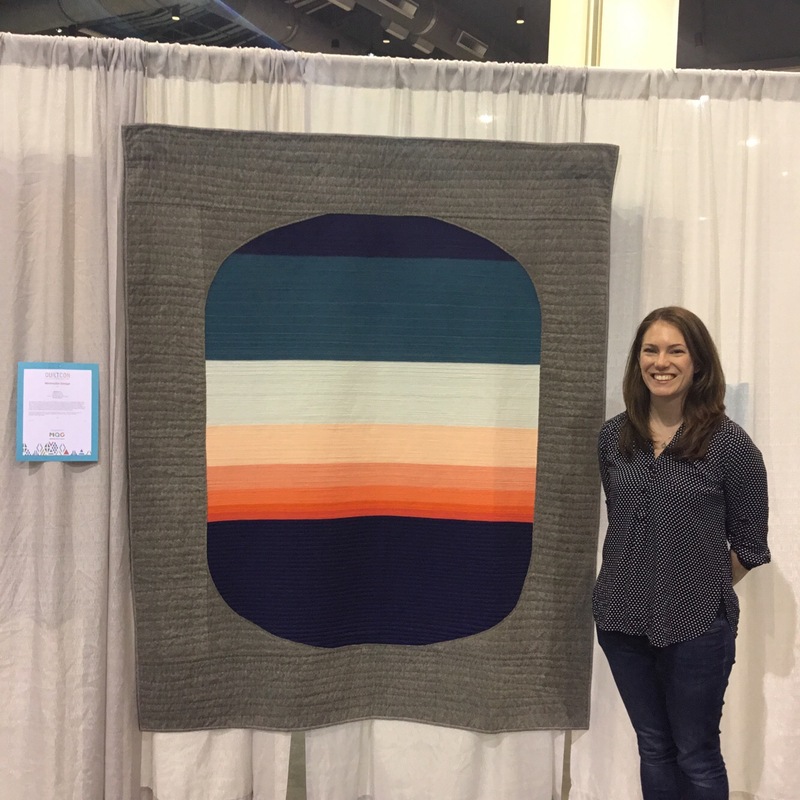 My QuiltCon experience this year was, if I had to pick one word, delightful. 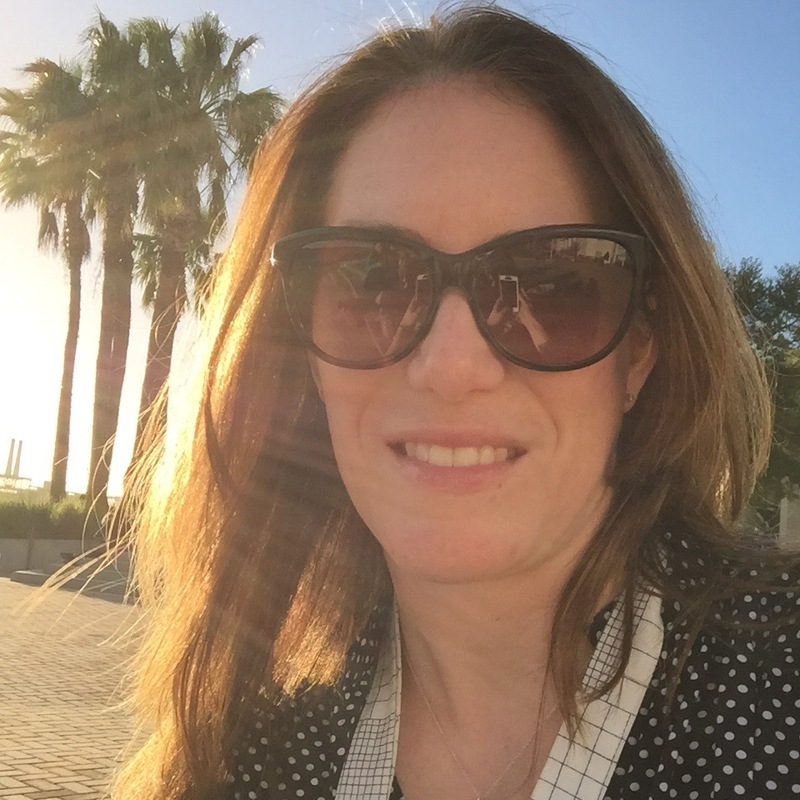 While talking to a friend on the first day, she said, “You seem like you’re in a different head space.” She was right, and I took her comments as encouragement to continue to be mindful throughout the weekend. 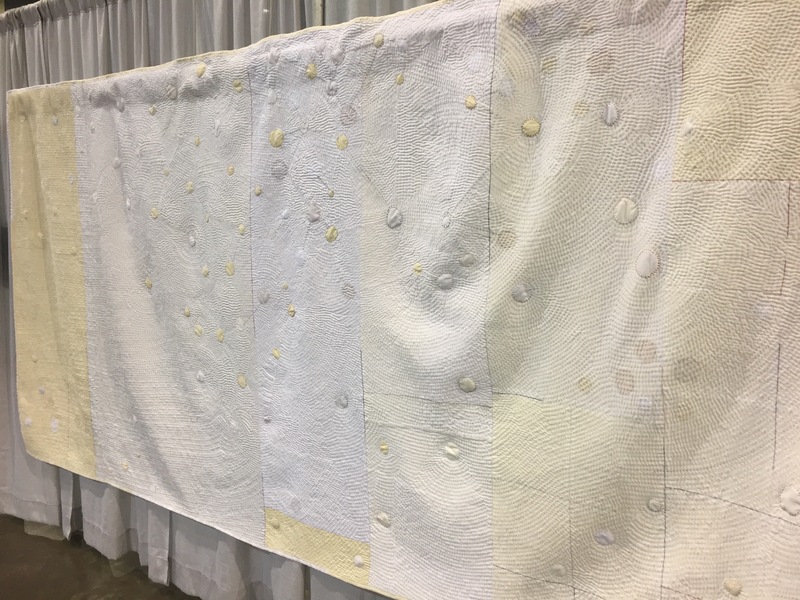 Maybe it was my headspace, and maybe it was the people I was around, and maybe it was the event in general, but this was the kindest, most positive of the three QuiltCons I’ve attended. I think it started with me being kind to myself. 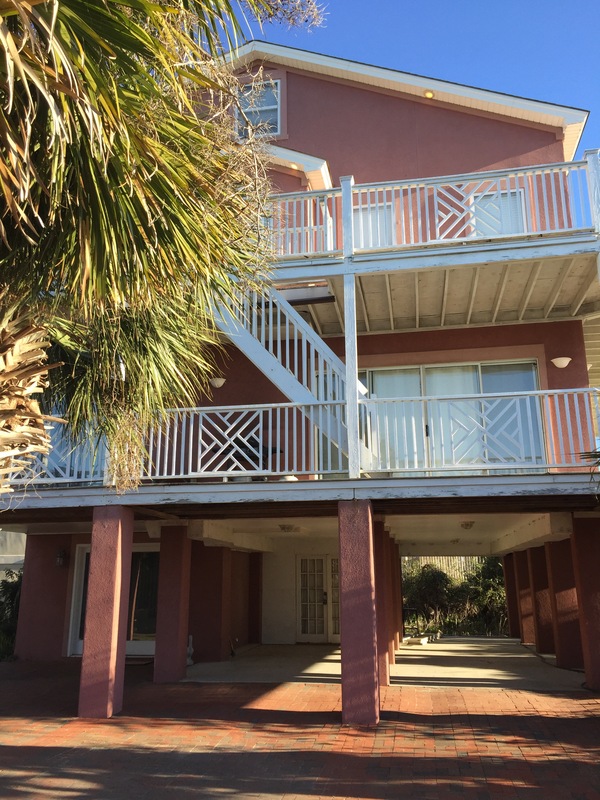 One of the best decisions I made in advance of the trip to Savannah was to stay with a group of friends in a beach house outside the city on Tybee Island. 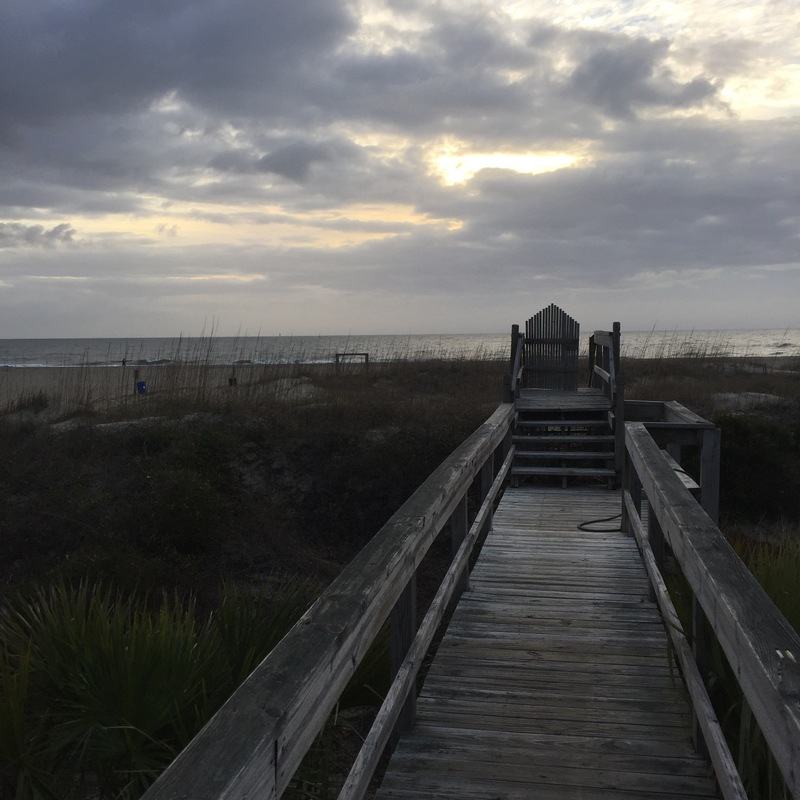 We were right next to the ocean, which literally was a breath of fresh air at the beginning and end of every day. Then there was the show. The quilts, more than 400 of them, were gorgeous and inspiring. I attended the awards ceremony (check out the full list with photos here) and then walked the show all morning, running into friends and taking pictures with my quilts. Here I am with my quilts in the show. 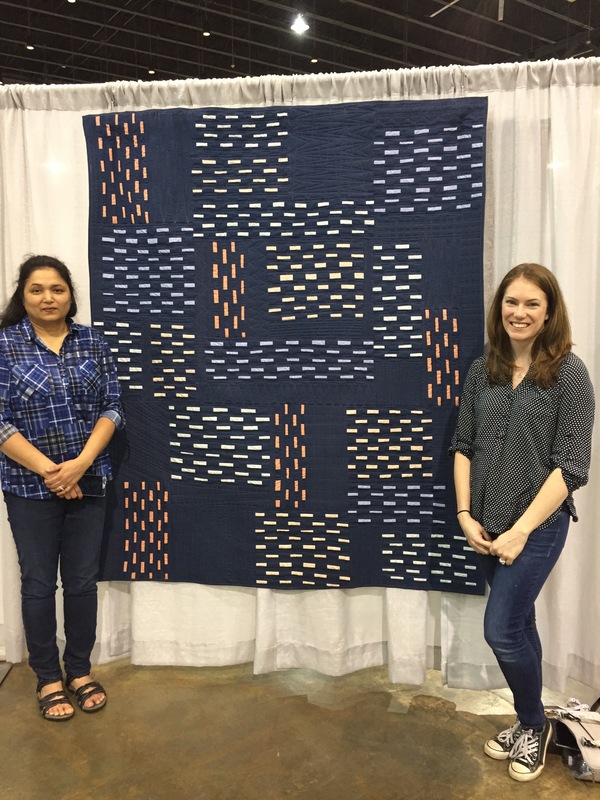 I was so glad that I got one with me and Krishma Patel, who quilted Mend. Last year I won a ribbon, but maybe it was the head space and maybe it was the show, but I felt so much prouder to be a part of it this year. 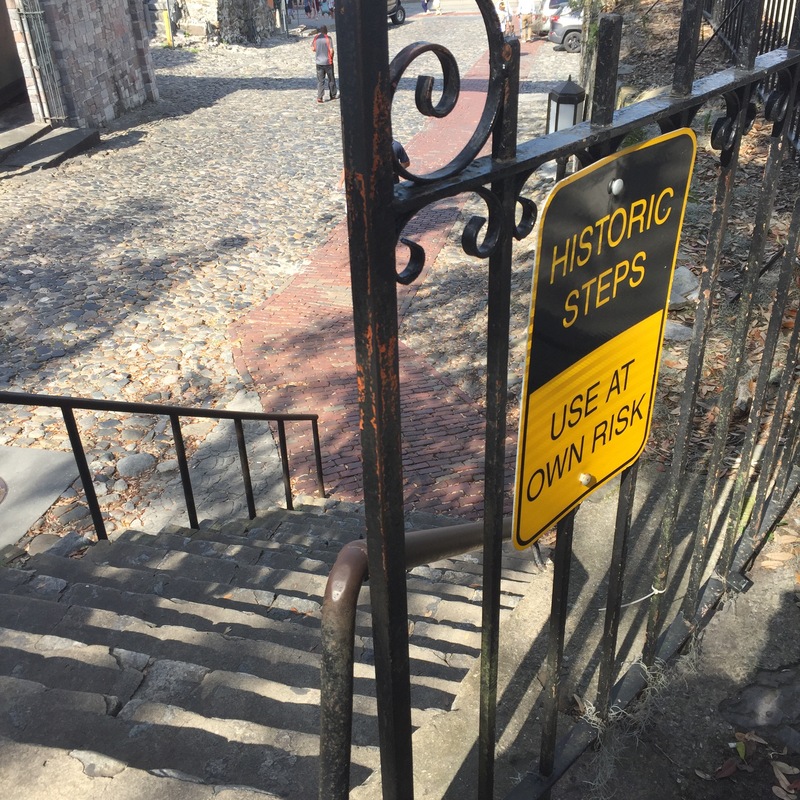 I also felt motivated to continue to push my design and technique to new levels. 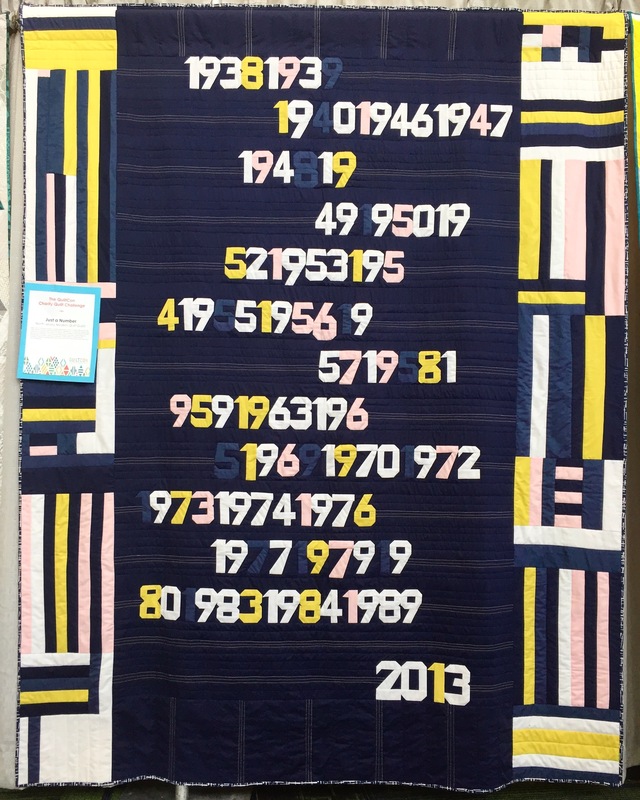 Here is our NJMQG guild quilt, which shows the impressive range of ages in our guild by birth year, with the year we became an MQG at the bottom. I made the improv borders. I wanted to be sure to take advantage of the educational programming at QuiltCon, but I didn’t want to have a packed schedule, so I attended one lecture and one three-hour class. 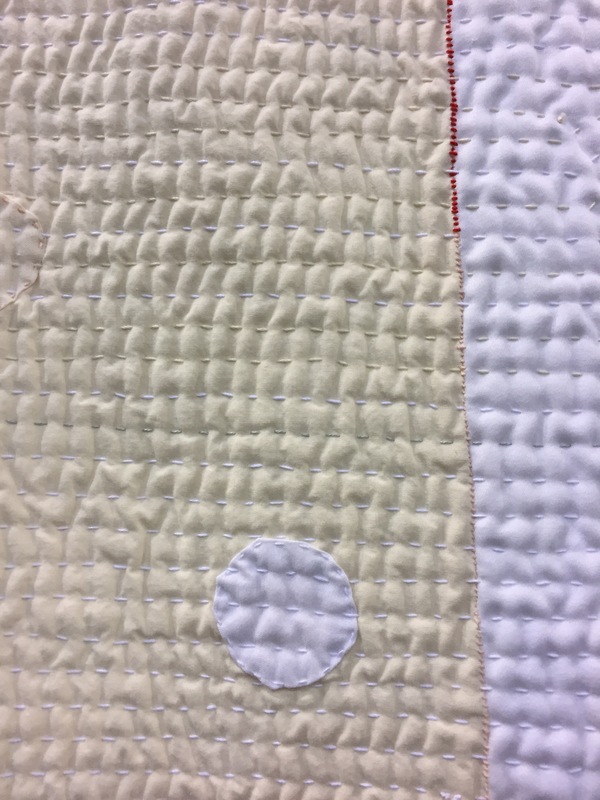 The lecture was on Minimalist quilts with S.D. Evans, in which she discussed the concepts behind different minimalism schools of thought. I wrote down so many artists’ names that I’m going to read about in the coming months. Here are some of Season’s quilts. 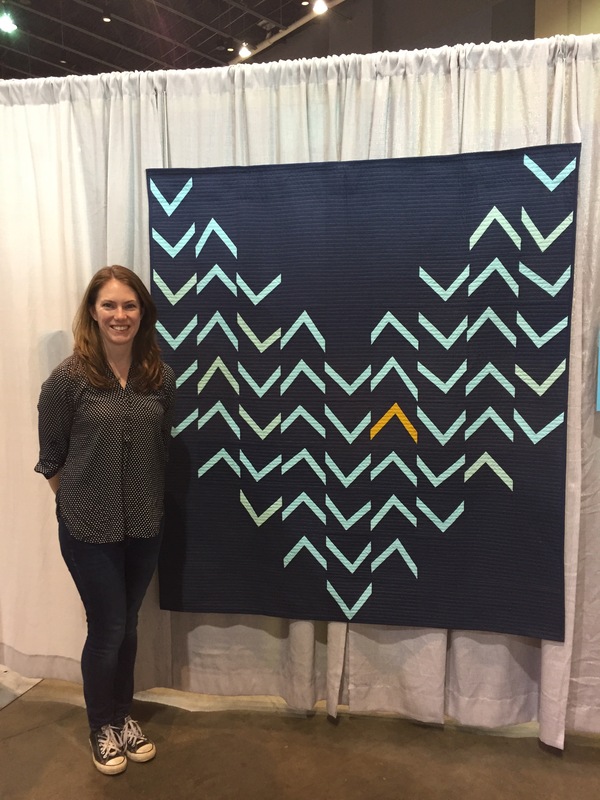 My class was with Heidi Parkes, whose quilt Night Flight blew me away last year. Called Handwork Revisited, we learned how to execute four skills needed to make a completely handmade quilt from start to finish. I’m a little slow when it comes to handwork, so I only got to the first— visible hand piecing using a Korean technique called jogakbo. I love the process and have started hand piecing the beginnings of something, I don’t quite know what. Here is Heidi’s quilt from the show, “I know the stars are there beyond the clouds”— it is massive. 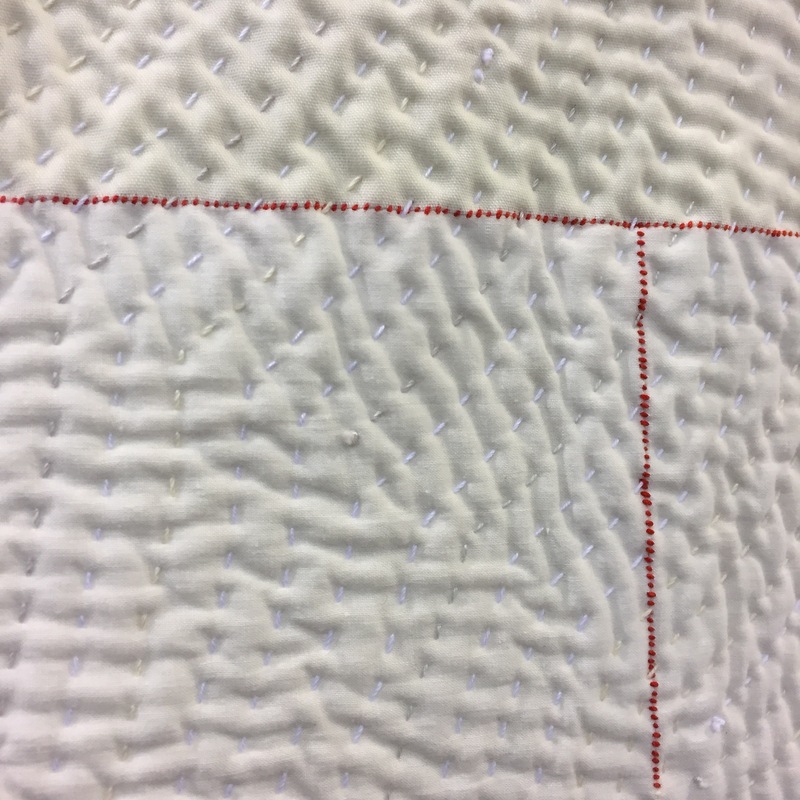 The close-ups of hand quilting and visible piecing stitches are really interesting and satisfying to me. 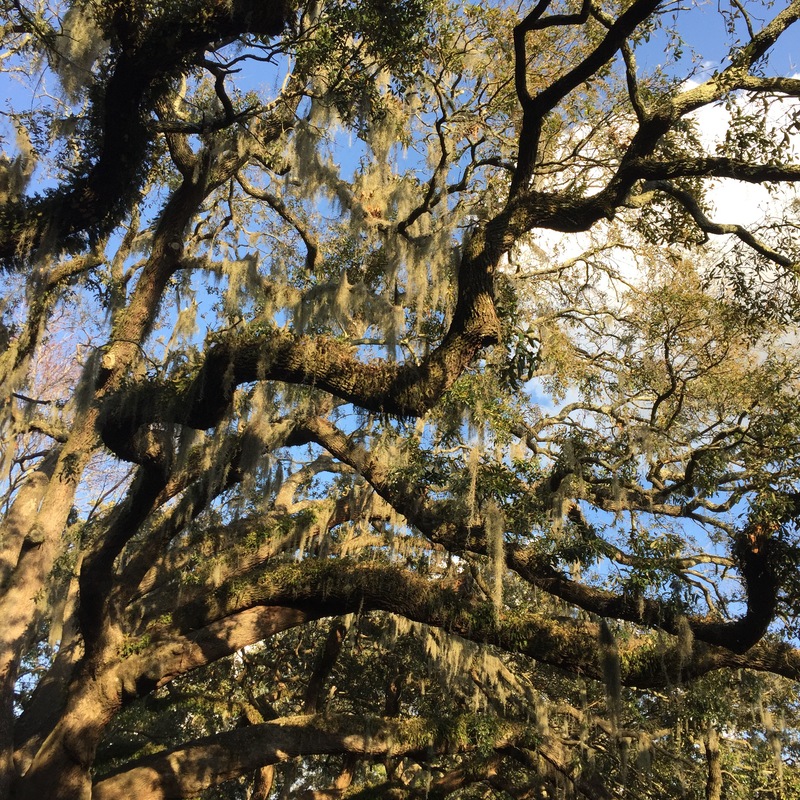 I regretted not seeing much of Austin or Pasadena at previous shows, so I was happy to have time to see some sights in Savannah. The weather and the sights were so gorgeous. But even more than that, I was happy to eat some of the most delicious food I’ve ever had. 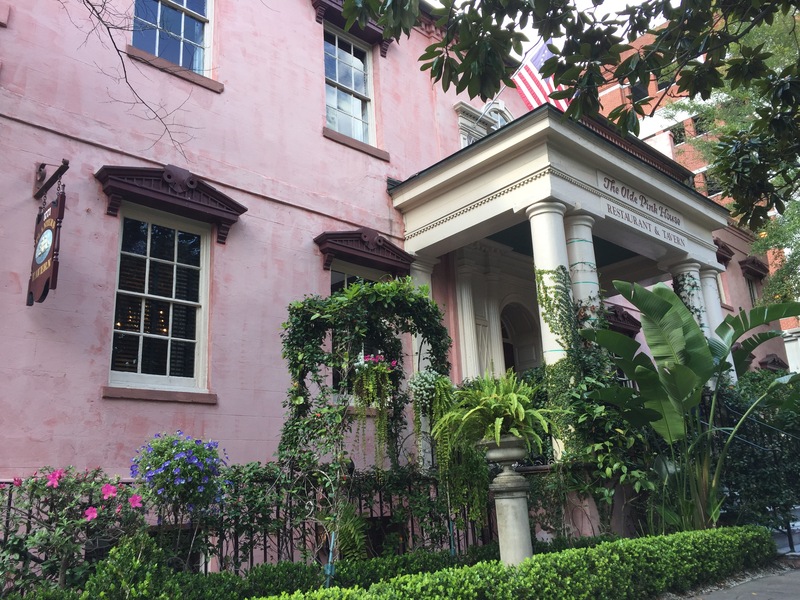 Most of all, I enjoyed meals at The Grey and The Olde Pink house. But the best things of all were the people. I am so grateful I got to meet up with and spend time with people from all over the world. I’ll spare you and my friends the crazy selfies, but I stand by my claim that quilters are some of the best people on the planet. Here’s to them and a successful, inspiring trip. 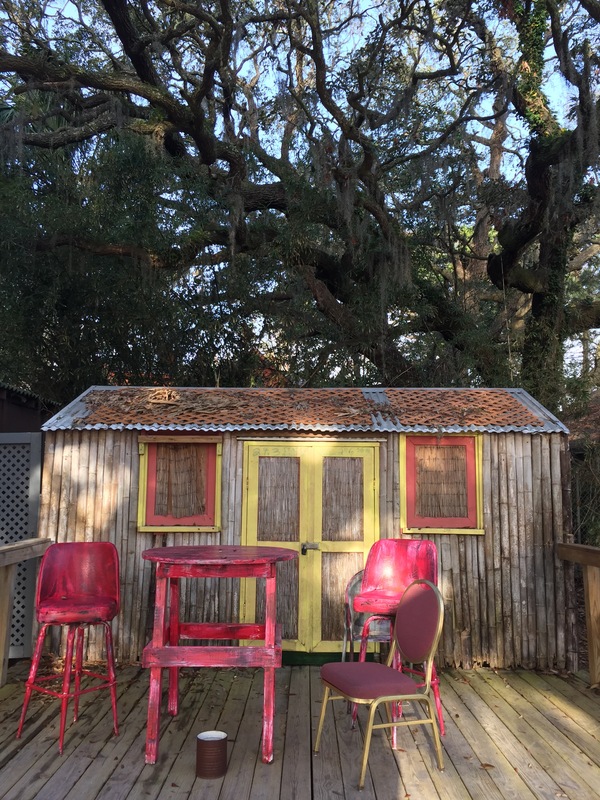 You have some amazing pictures of Savanah and your quilts all look so beautiful. 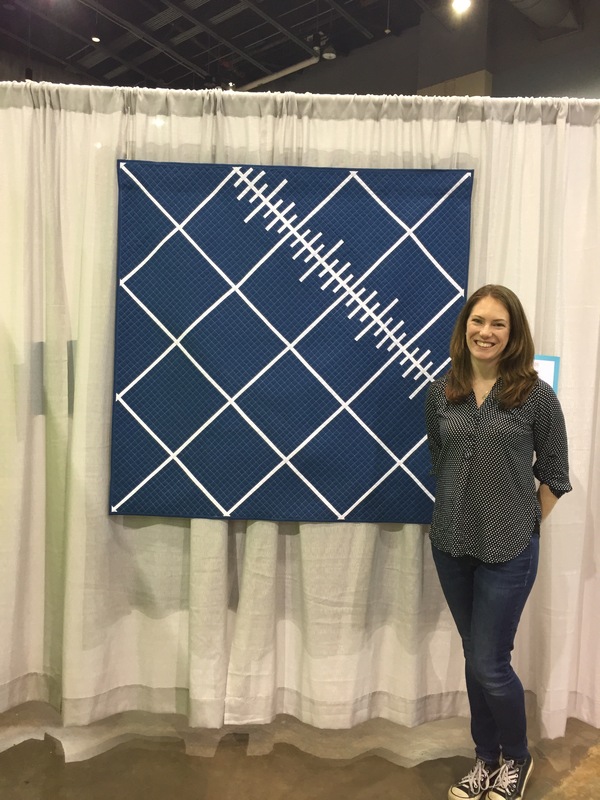 It was such a pleasure to explain the design and quilting approach for Mend to so many quilty friends. DEveryone of them loved the planned and unplanned piecing & quilting approach. Love your work and so happy to hvae spent time in the house together !! I’m so glad to hear that you found such a great balance this year! ❤ I have to admit that working as crew was fun, but way out of balance. 🙂 However, I did feel like having a "job" made it easier for me to focus on having positive social interactions and I didn't feel like I wanted to run home and hide at all this year.